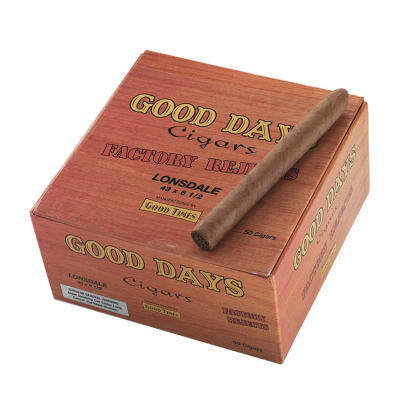 Phillies Titan are mild, machine-made cigars rolled to a classic Cuban Lonsdale. Made with high-quality tobacco from Honduras and the Dominican Republic, Titan is might satisfying. Why pay convenience store prices when you can buy the right now for less? Order your Phillies Titan cigars now. 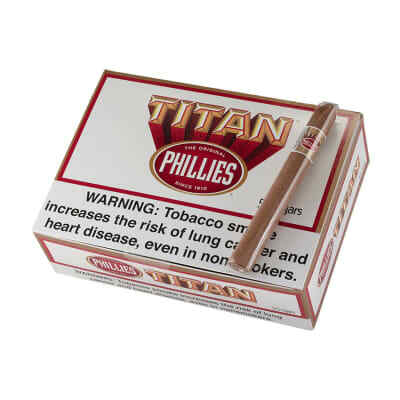 When a box won't do, how about a whole bunch of Phillies Titan cigars 5-packs - 10 to be exact. 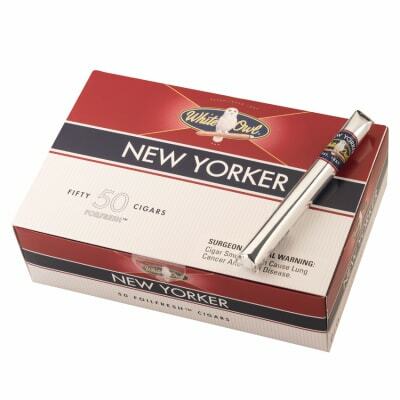 This machine-made American classic is blended with high-quality Dominican & Honduran tobaccos rolled in a natural tobacco wrapper. Mild as ever and always satisfying, buy this set of 50 Titans and SAVE. 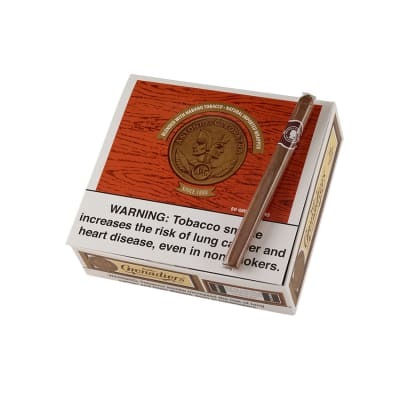 These PHILLIES TITAN CIGARS are convenient & best to consume!